Contamination of aqueous environments by hazardous chemical compounds is the direct cause of the decline of safe clean water supply throughout the globe. The use of unconventional water sources such as treated wastewater will be a new norm. Emerging nanotechnological innovations have great potential for wastewater remediation processes. Applications that use smart nanomaterials of inorganic and organic origin improve treatment efficiency and lower energy requirements. 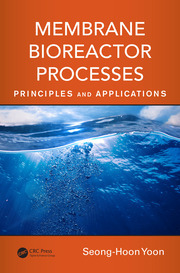 This book describes the synthesis, fabrication, and application of advanced nanomaterials in water treatment processes; their adsorption, transformation into low toxic forms, or degradation phenomena, and the adsorption and separation of hazardous dyes, organic pollutants, heavy metals and metalloids from aqueous solutions. It explains the use of different categories of nanomaterials for various pollutants and enhances understanding of nanotechnology-based water remediation to make it less toxic and reusable. Ravindra Kumar Gautam is engaged in doctoral work in the Department of Chemistry, University of Allahabad, India. His areas of interests are adsorption and nanomaterials, and their analogues for water/wastewater remediation. He has published over 60 research papers and has written a book entitled, "Environmental Magnetism: Fundamentals and Applications" published by Lambert Academic Publishing. He is a Fellow of the Indian Chemical Society and Life Member of the Indian Science Congress Association. He is a member of the editorial boards of International Journal of Nanoscience and Nanoengineering, American Journal of Environmental Engineering and Science, and International Journal of Environmental Monitoring and Protection. Mahesh Chandra Chattopadhyaya is Professor in Department of Chemistry, University of Allahabad, India since 1974. He served as head of the Department of Chemistry during the period 2008-2010. He teaches Inorganic and Analytical Chemistry and Environmental Chemistry. He was elected as Fellow of Cambridge Philosophical Society, Fellow of Chemical Society, London, Indian Chemical Society, Institution of Chemists, India. He was President of the Indian Chemical Society during the years 2011-2013. He has published over 150 research papers in different national and international journals. Twenty eight research scholars have been awarded doctoral degree under his supervision. Currently, he is working on the nanomaterials and nanocomposites, and their application for environmental remediation, solid oxide fuel cells, and synthesis of inorganic materials and development of sensors for estimation of surfactants. "…an asset to all water professionals, so they can become knowledgeable in the issues and develop sustainable design for wastewater treatment plants. I feel that researchers will be inspired by reading to further investigate the potentiality of nanotechnology for wastewater treatment, overcoming the constraints to their large scale application." 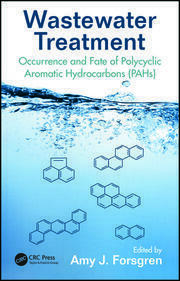 "… a truly valuable contribution to the emerging field of applying various nanomaterials in environmental remediation. I cordially congratulate the authors for their remarkable achievement. Highly recommend reading!" 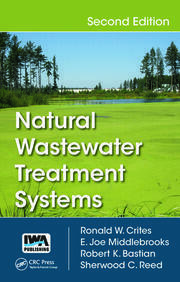 "…offers a detailed insight about recent advancements in nanotechnology for wastewater treatment and recycling. Editors have done a great job providing an informative collection of chapters which enhance understanding of nanotechnology-based water remediation to make it less toxic and reusable. As a scientist and professor, I strongly suggest this book as a must read for all Environmental Biologists, Nanotechnologists, Chemists and Biologists, and a great reference for experts and students equally! "I would strongly recommend this book to libraries and to individuals who have some idea of chemical and environmental sciences and who wish to learn about the continuing influence of the modern developments in chemistry." "This book provides an excellent overview of technological developments and innovations in the use of nanotechnologies for water treatment. It will become an important resource for those looking to apply nanoscience technology to process water remediation, or drinking water purification." "While there are many research publications that present recent advances in nanomaterials and their application in water and wastewater treatment, a compilation of all the latest developments in a book such as this is timely and is extremely valuable for the researchers and the practitioners. This book will be a good reference for both graduate and undergraduate students in this area." 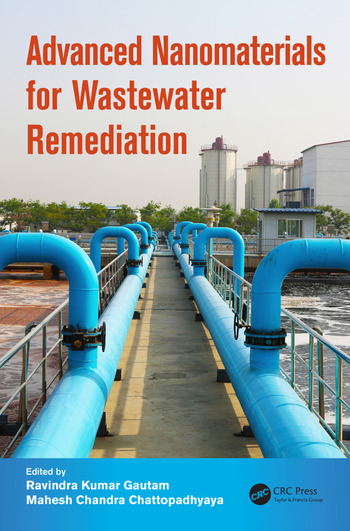 "The book covers all the necessary background in advanced water/wastewater remediation and goes to a good enough level of covering nanotechnology. It will become certainly useful for researchers in the areas of wastewater treatment and remediation. This work is a great resource for any advanced undergraduate or graduate course on applications of nanotechnology in water and wastewater remediation. Each well-structured chapter first discusses general introduction and then focuses on the use of nanomaterials. I congratulate the editors and authors for their miraculous attainment. Summing up - Highly recommended." "The content of the book entitled Advanced Nanomaterials for Wastewater Remediation is very novel and does not intersect with the contents of any other books related to the same area. This book will be a new reading experience for young researchers, university professors and scientists working in this area. I must congratulate the editors and authors who contributed immensely for this book."